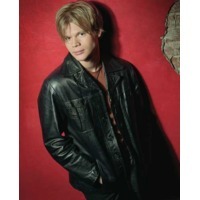 Brian Culbertson (born January 12, 1973) is a musician and instrumentalist from Decatur, Illinois, United States. Son of jazz band director and trumpeter Jim Culbertson, Brian's instruments include the keyboard and trombone. Heavily influenced by funk, much of Culbertson's material is funk-based instrumental, but he has begun calling upon vocalists such as Trey Lorenz, Marc Nelson, Kenny Lattimore and Avant to add to his later pieces. Culbertson has released twelve albums so far. The first three were on the Blue Moon label: "Long Night Out" 1994, "Modern Life" 1995, and "After Hours" 1996. After moving to Atlantic Records, three more albums followed: "Secrets" 1997, "Somethin' Bout Love" 1999, and the critically acclaimed "Nice & Slow" 2001. "Come on Up" 2003 was released on Warner Jazz, and Culbertson then moved to GRP Records for his project, "It's On Tonight" 2005 which debuted at #1 on Billboard Magazine's contemporary-jazz charts. Brian Culbertson also works with many other musicians in the contemporary jazz arena, often as a composer and arranger. Culbertson is currently credited with working with Dave Koz, Peter White, Richard Elliot, Jeff Lorber, Michael Lington and legendary A&M Records composer and producer Herb Alpert. He is married to Michelle Culbertson. Brian has regularly appeared live on many radio stations including KTWV in Los Angeles and the UK's Solar radio with Michael J. Parlett. Brian has also regularly been an opening act for Barry Manilow's shows outside of Las Vegas since 2007.